mybeardeddragons.co.uk • View topic - CONGRATULATIONS! Just to let you all know that Janine has had a baby girl at 3pm Tuesday, by C-Section, weighing 6lb 12 oz. She is called Jessica Madison. I'm thinking we should now change her login name to JoshuaandJessicasmummy! Congratulations to you Janine! Looking forward to seeing you back on line - you know how much Rick is longing to hear all those details! Love from all of us on the forum! Congrats Janine hope your all ok we wanna see some pics when ur back online! congratulations Janine!! hope you are both all well! Thanks all - will post a picture as soon as I get 5 mins (or should I say when hubby gets 5 mins to load one up as I haven't got a clue what to do ). We are both doing really well, Jessica is lovely and I'm besotted with her! I was just now wondering if she had had the baby when i came on here. Congratulations Janine. Oh yeah her user name so needs to be changed now lol. What a beautiful name too. CONGRATULATIONS Janine on the birth of 'Jessica Madison' hope all is well with you both! How lovely, take care, all the best. 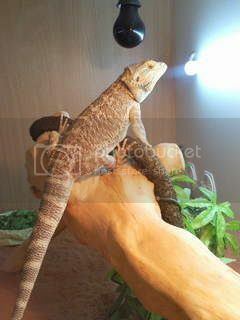 Bearded Dragon 'Mr Magoo' rescue. 6 African Land Snails rescued.